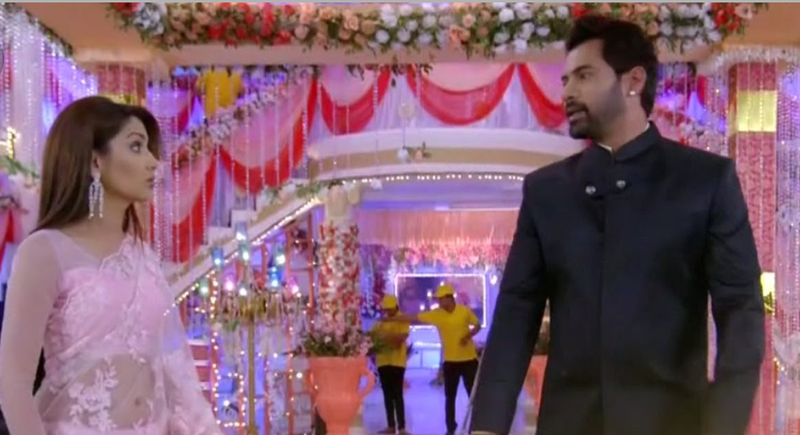 The Episode starts with Abhi asking Disha if Pragya said that she will marry me, and says she don’t accept that Kiara is my daughter, so she will not agree. Disha says this time you have to marry her and she don’t want to marry, but there is a twist, you have to marry her by cheat. Abhi says this is wrong. Disha says if you don’t do this then King will propose Pragya di. Abhi asks how do you know? Disha says she is a woman and knows seeing Pragya’s face. She says now Kiara is your daughter and says once you marry Pragya everything will be fine. She says just as Tanu doesn’t matter to you, King also doesn’t matter to her and says if you go to her then she will go with the flow and says she needs that confidence. and that’s why she will never let it away from her. She sleeps. King comes to her room and thinks he has bought same design mangalsutra for her and will propose her with it after Neha and Tarun’s marriage. He gives her flying kiss. Abhi tells Disha that he is ready to marry her and says he will take all vows and rounds with her. He says I will make Pragya mine with everyone’s blesses and the happiness will be doubted. Disha says happiness is lifetime return. Purab comes and asks if this is your idea? He says I loved it and gets happy. He hugs Abhi and congratulates Disha. He says one daughter will go and other will come. They hug and jump. Abhi says lets do it again, and they jump happily. Tanu hears them and thinks what they are talking. Kiara comes to Purab and says good afternoon. Pragya says afternoon. Kiara says it is afternoon for you and tells that superman called and asked when you will come to his house. She asks why is he waiting. Pragya says why? Kiara says I am ready and asks her to get ready too. Pragya says you have school. Kiara says today is Tarun Chacha’s marriage. Pragya says it is in afternoon and asks her to attend the school. Kiara gives her kiss and asks her to buy mangalsutra for her. Pragya asks if superman asked her to give her a kiss. Kiara says no, it is good morning kiss. Pragya says she has to go to Abhi’s house and decorate the mandap. Abhi tells the decorator that there is two marriages here. He says he is getting married today. Decorator asks Bahadur. Bahadur congratulates her. Dadi is making rangoli. Abhi compliments her. Tanu sees Abhi happy and says why is he happy today. Aaliya comes and asks her to let him be happy. Tanu says he is very happy and looking 5 years younger. She says he is acting as a lover boy and excited as if he will bring Pragya back. Aaliya says bhai is always excited in family functions and says I don’t have more energy to make you understand. Tanu thinks to go and check in Abhi’s room. Abhi sees Pragya coming there and talking to someone. He looks at her. Tu sona sona plays……Dadi calls Pragya. Pragya comes to her and keeps her foot on the rangoli. Dadi says it is good and says this house thinks of you as the bahu. Pragya says sorry and gets inside. Abhi thinks to welcome her. Pragya walks inside stepping on the rangoli. Dadi gets happy. Abhi puts garland on Pragya’s neck and asks her to put on his neck as he has to tie it. Pragya puts garland on his neck and smiles. Allah wariyan plays…….Tanu comes to Abhi’s room and thinks she is sure to get some clue or proof from here. Disha is going from there and hears the sound. She peeps inside and sees Tanu searching there. She thinks if she is searching real DNA report or something else. Tanu thinks to search what Abhi was hiding from her. Disha thinks she can’t take chance and throws something on Tanu. Tanu comes out of the door, but Disha hides. Tanu goes back. Disha thinks why I shall hide? She goes to room calling Abhi. Tanu asks what are you doing here? Disha asks what are you doing here? Tanu tells that Abhi sent her to get his brooch. Disha tells her that Abhi is having brooch on his kurta. Tanu says she is searching her earrings and says it must be in drawer. She is about to open the drawer. Pragya asks Abhi why he is doing this work. Abhi says you shall do the work. Pragya says she came for Neha’s rituals. Abhi asks her to climb on the stairs and do the decoration. Pragya says don’t think that I will slip and you will catch me. Abhi says this will happen. Dadi comes and asks her to do. Pragya climbs on the stairs. Abhi holds her waist. Pragya asks him to leave her. 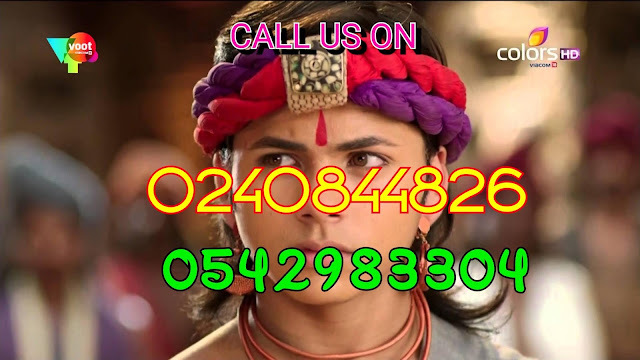 Allah wariyan plays…. Abhi asks Pragya not to cut his talks after marriage. Pragya is surprised. He pulls her closer. Chachi comes and asks whose marriage?